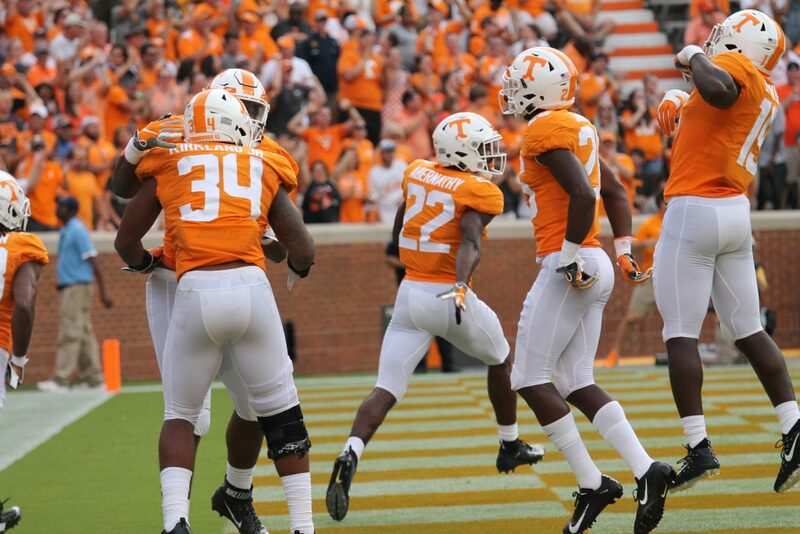 The Vols picked up their first win of the 2018 season and got Jeremy Pruitt his first win as Tennessee’s head coach as they routed ETSU 59-3 in Neyland Stadium on Saturday. Tennessee used their bounce-back effort after losing to West Virginia last week to work on some things they needed to improve, get younger players some playing time, and figure some things out with the roster. There wasn’t as much anger or confusion from Vol fans after this game, but there was still plenty to discuss afterwards. Managing editor Nathanael Rutherford and staff writer Ben McKee took to Facebook Live and Periscope after the game to discuss what they saw from the Vols’ 59-3 victory over ETSU. They talked about some standout freshmen, whether or not the offensive and defensive lines showed improvement, the start of the youth movement on the team, and much more.